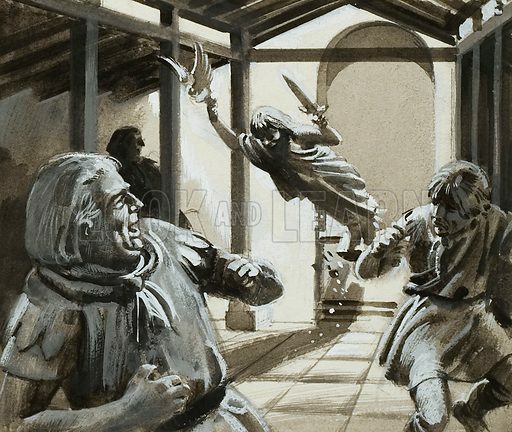 Unidentified scene in which a statue falls over and frightened men run away. Original artwork. Available worldwide for immediate download up to 4,353 x 3,676 pixels.